According to The Mint, teaching kids about saving money includes setting savings goals, thinking about saving first rather than last and being smart when shopping. 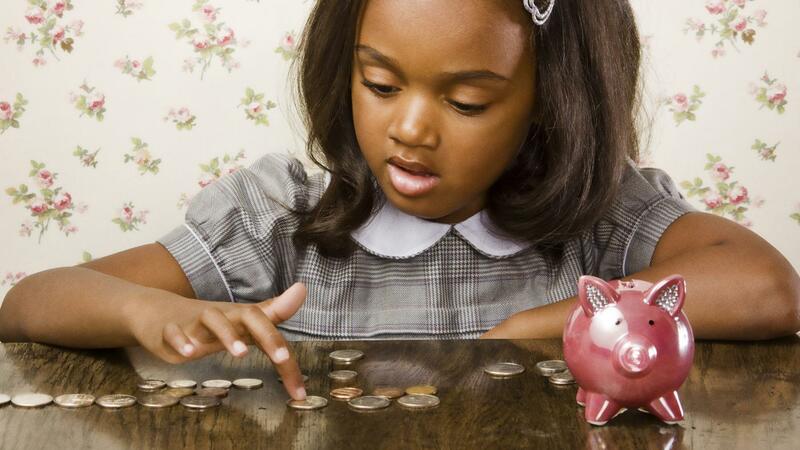 A good way to teach kids about savings goals is to help them buy big-ticket items. However, parents should set a goal that the child has to reach with his own money before the parents pay the rest. The Mint goes on to explain that teaching kids to be smart shoppers is an important part of teaching them to save money. When kids decide what they want to purchase, parents need to teach them the benefits of searching around and checking prices at other stores. This teaches kids the value of money and the importance of not always settling for the first thing they find. According to Choose to Save, another way to teach kids to save is to have them pay attention to the prices on menus when they go out to eat. At the end of the meal, share the bill with them so they can see how the cost of everything adds up, including the tip and tax. Doing this teaches them that there is no such thing as a free meal. What Is the Definition of a "medium-Term Goal"? What Goes in a Revocable Trust? How Do You Plan for Retirement? How Can I Make $1,000 Fast? What Benefits Do Retired Federal Employees Receive? Does JPMorgan Chase Offer 401(k) Plans? What Are Some Choices for College Savings Funds?